my friend one halfpenny and i were feeling particularly motivated this morning (go us!) and went to a body attack class before meeting up with the husband’s for brunch … seriously who does that on a saturday morning?! 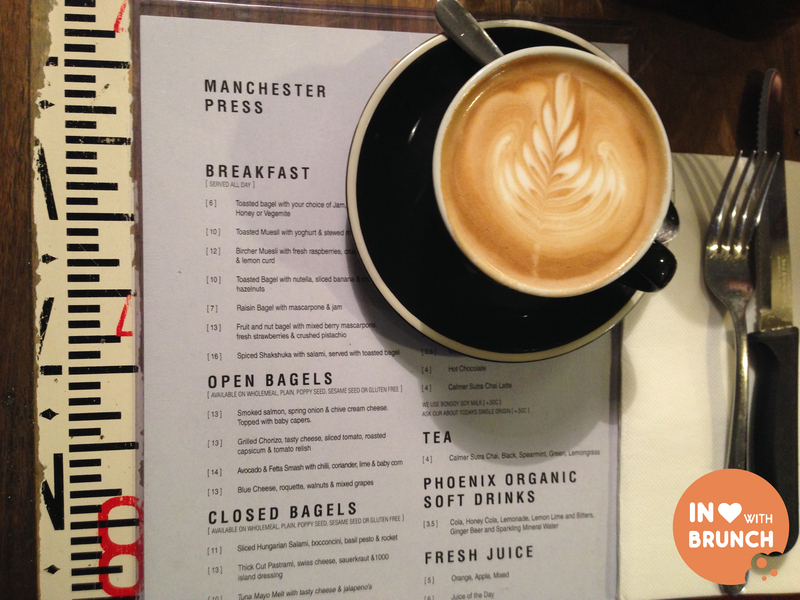 i knew of manchester press’ bagel-themed menu and with an impending american trip was keen for some american inspiration! 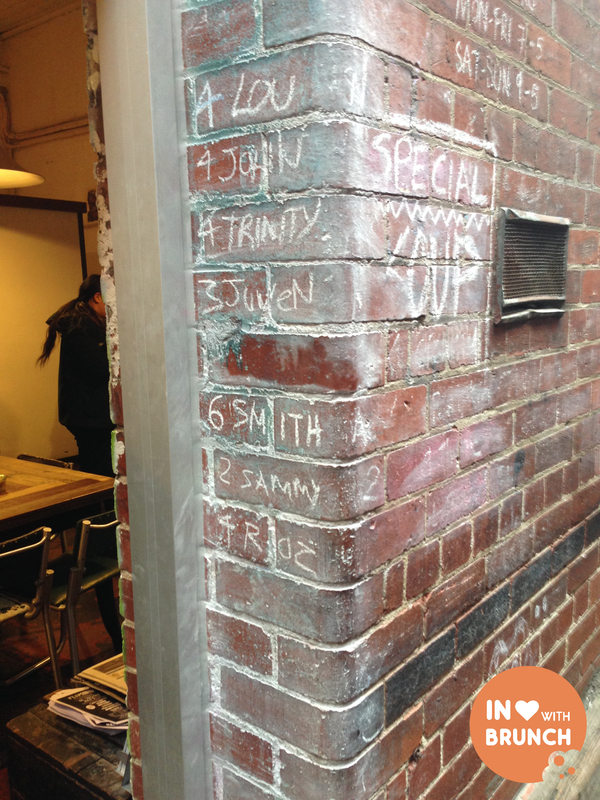 tucked down a gorgeous melbourne laneway (rankins lane) we soon had our name chalked on the wait-list wall. 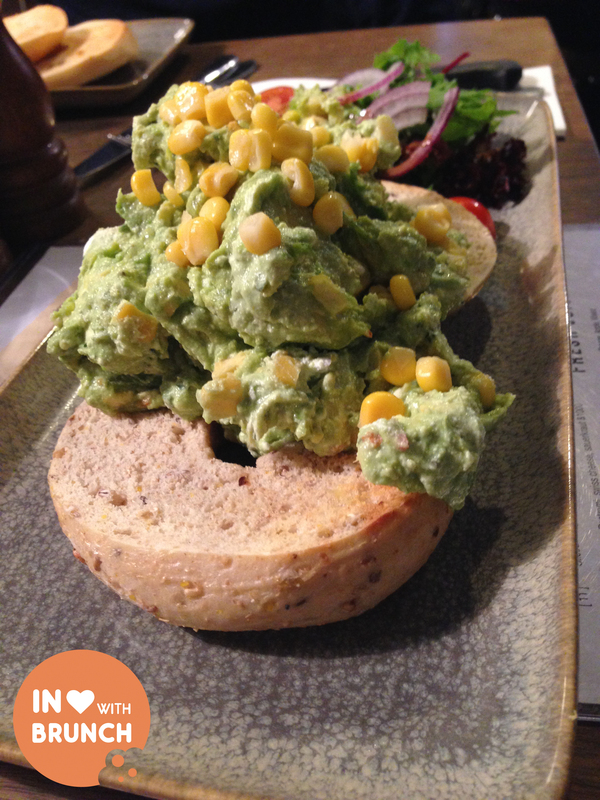 the menu starts with the simple (but classic) bagel + spreads, but goes on to offer a selection of open sweet, open savoury and closed savoury bagels. most lean towards breakfast options, but there are also some more lunch-oriented options, one of which is the pulled pork bagel that comes highly recommended. i’ll be back to try this one soon. 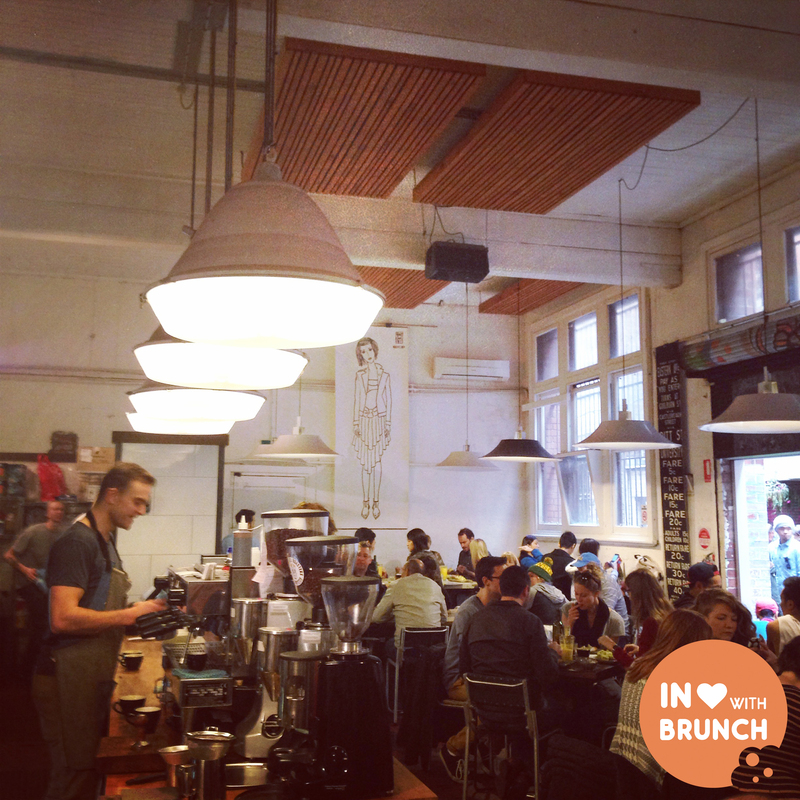 there are also a few non-bagel options like muesli, shakshouka + salads. 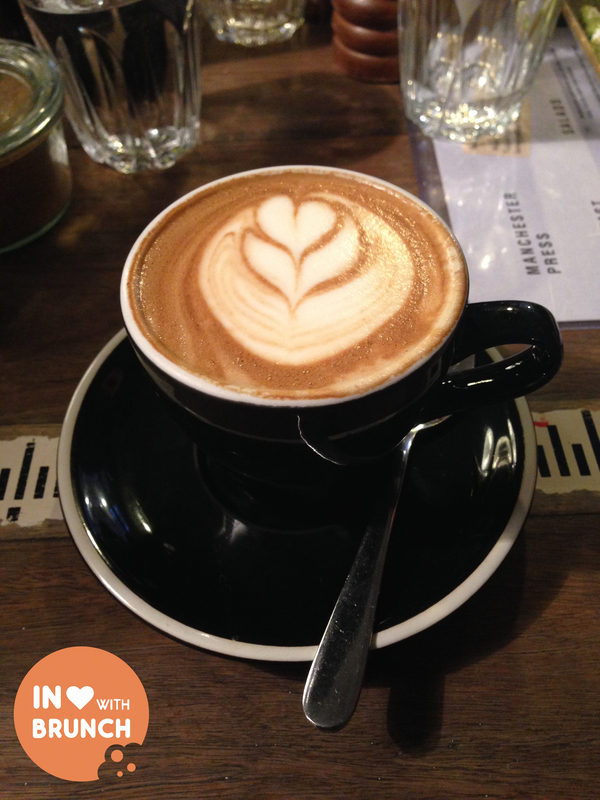 the coffee is cartel roasters, a seriously yummy roast. the house-blend milk varieties are described as having a hint of burnt caramel, just right-bitterness and a nutty after taste. i’m still learning my way around coffee descriptions, but can definitely identify with this description. firstly, the bagels: all delicious. i guess when the box (which we saw a peek of behind the counter) claims to be “a taste of new york city bagels” you would hope so. but considering they are seemingly delivered pre-cooked beforehand, they are fresh, soft and thankfully not too sugar-laden like most american food. next, the topping: this serve of avocado was seriously huge! there was no hope of finishing it all, even after a gym class! the corn + fetta also finished this dish off really well. upon discussion, we decided that our suggestions for improvements to this dish: grilled corn + a bit more lime. but, pretty close to perfect really. 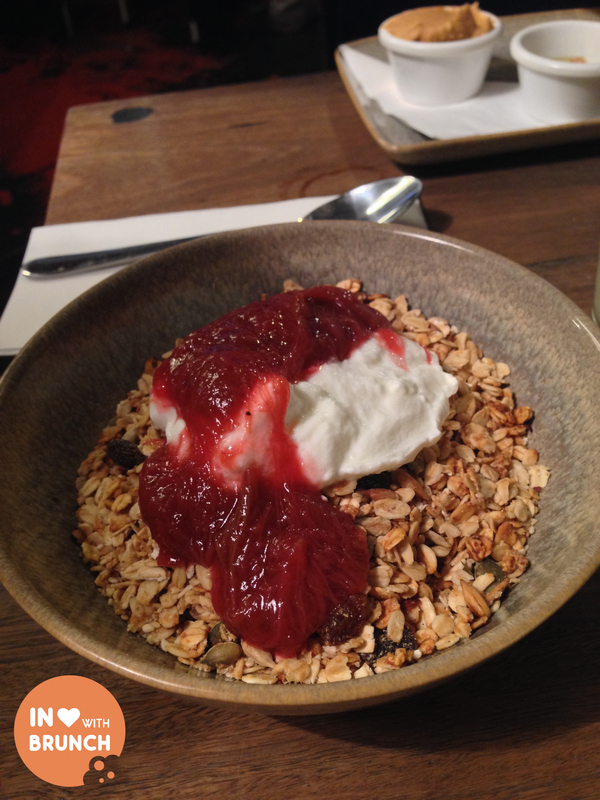 very good value for $10 + served with a jug of milk on the side, the toasted muesli was packed with sultanas, hazelnuts + pumpkin seeds. firstly, the bagel: like your favourite raisin bread in bagel form – delicious! next, the topping: again, a very generous serving! the mascarpone is sweet + creamy, but not too sweet. i found strawberries, raspberries + blackberries hidden in the folds of the cream; and there are more fresh strawberries on top. the pistachio crumble was spectacular. 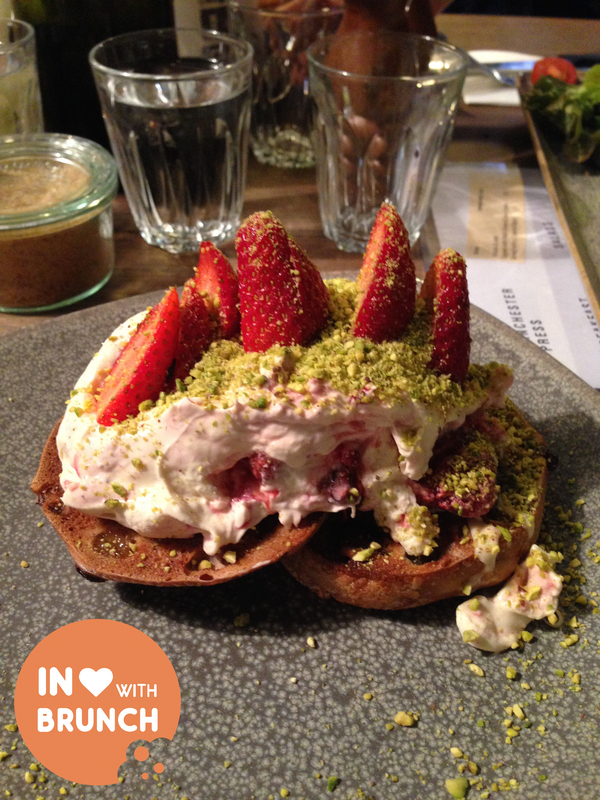 each element was delicious on its own, but combined … oh my goodness… yum! 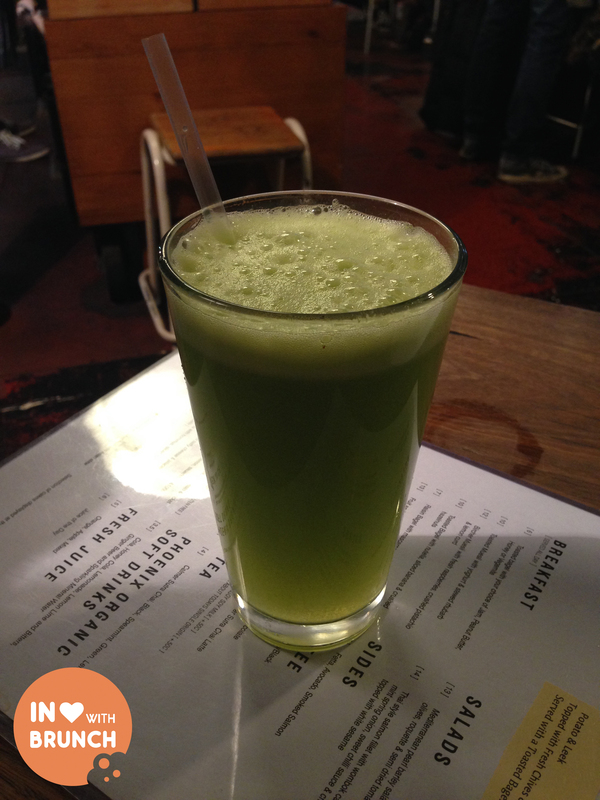 staff were really friendly… casual + laid back, and in general the cafe has a great bustling vibe. 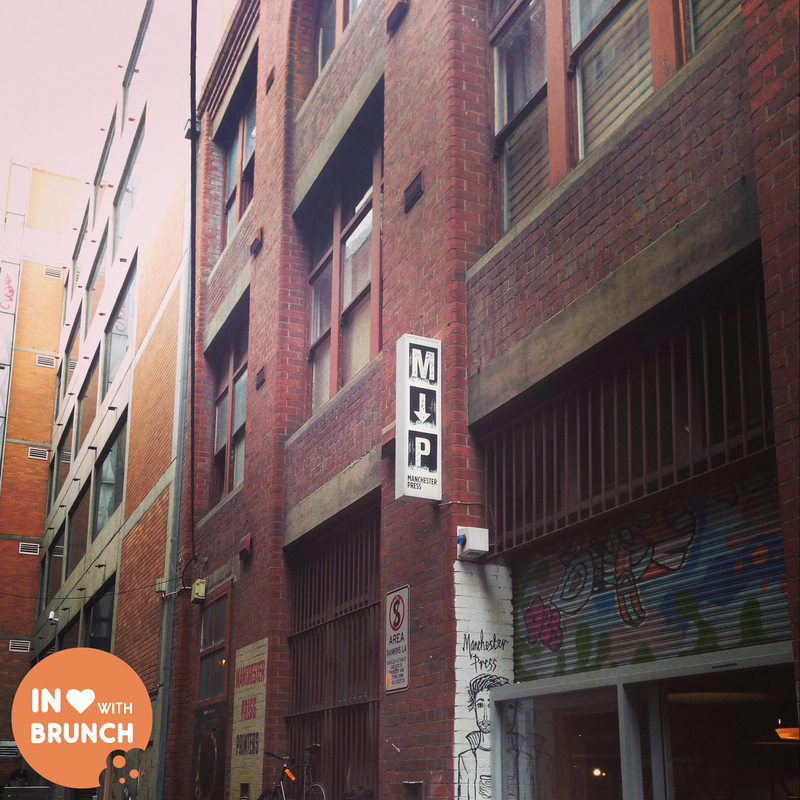 i particularly congratulate the inspired and very unique menu, this is definitely a one-off that i’ve not found or heard of elsewhere in melbourne! so… we may have turned up with red faces and dead arms, but the pain was soon a distant memory – manchester press is seriously cool! (a cheeky) p.s. manchester press, if you ever read this we have a menu suggestion for you: a closed bagel with tomato relish, scrambled eggs + bacon.